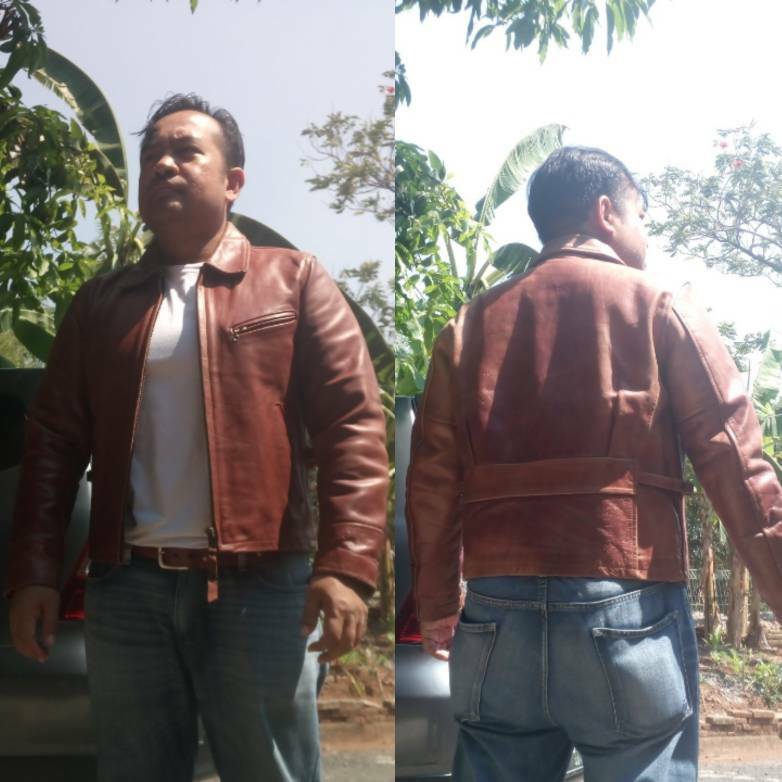 Discussion in 'Moto / Utility Jackets' started by Akang ed, Sep 10, 2018. 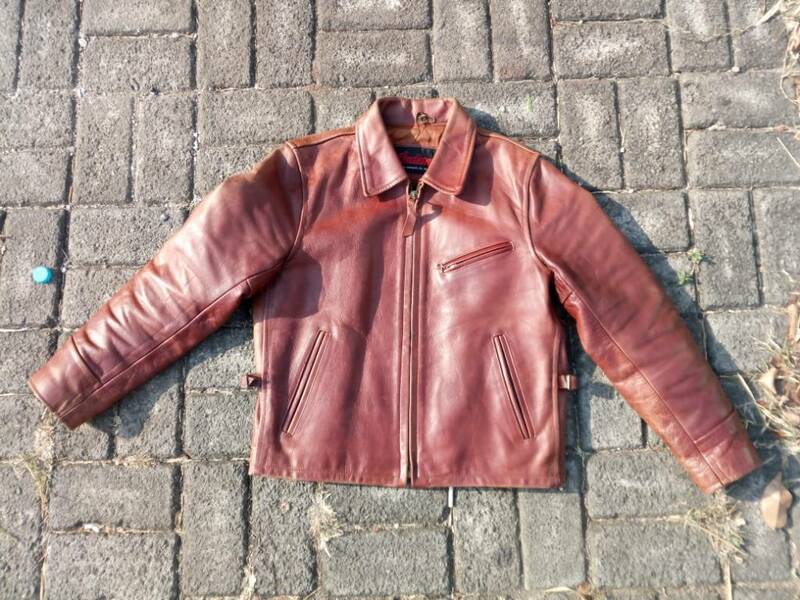 Got this one few month ago, I like it for the style and the aging colors. 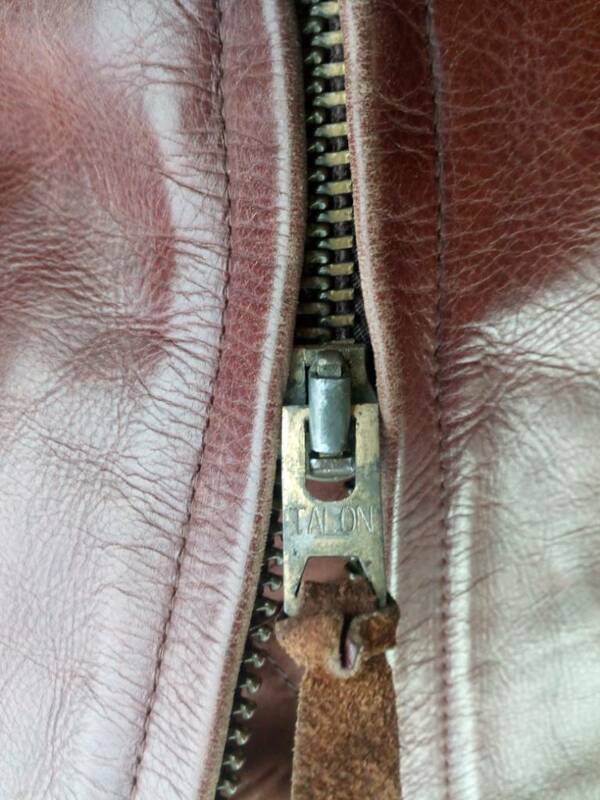 I found some jacket pic that having identical details but difference brands, even there one on this forum with monarch Brand. 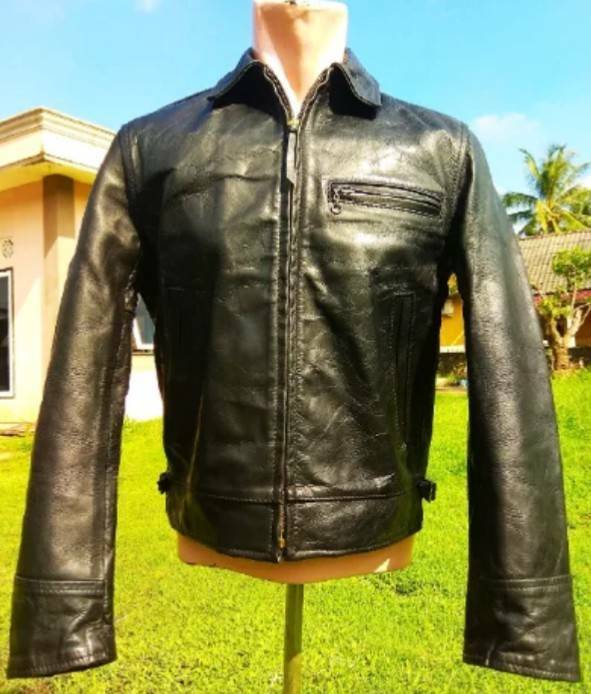 The question is this original indian or fake? It's have Japanese tag believed distributed for asian market. davyjones007, Thomas Koehle, falcon_ib and 1 other person like this. Thanks, I'll try to take good fit pic tommorow morning. Hi ken, By looking on the tag tipe,yes, I guest too this is not the early one. Is that mean this repro come from same factory mass producted and rebranded with different brand? 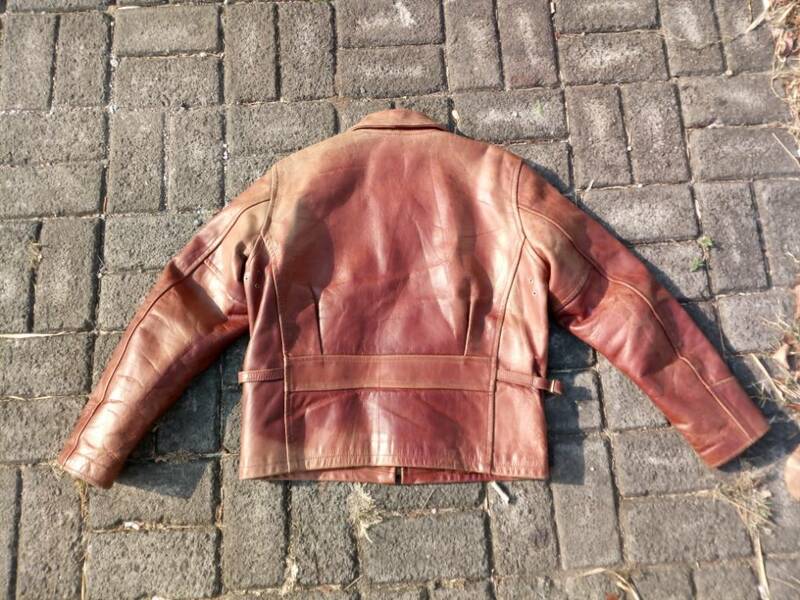 Posible from china or korea, maybe. 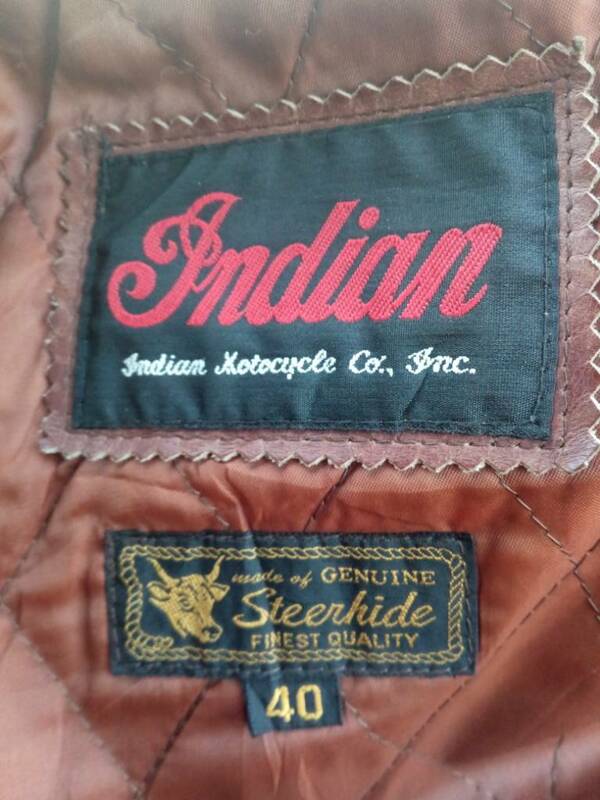 That’s another really nice jacket, despite having no connection to the original Indian Motorcycle company. What other beauties have you found? davyjones007, falcon_ib, bseal and 1 other person like this. 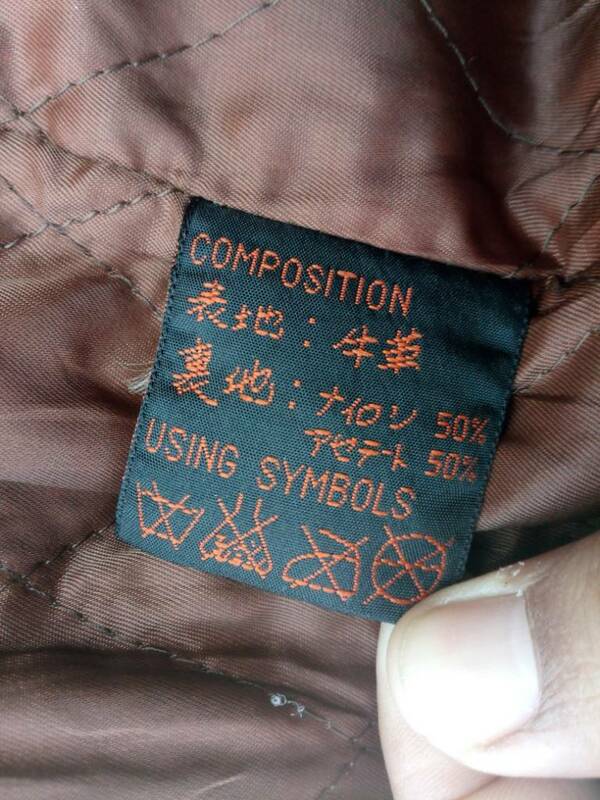 At the time this jacket was (probably) made, Korea was the "go to" place in the Far East to have something like this made, no Chinese factory I'm aware of did this type of work at the time. 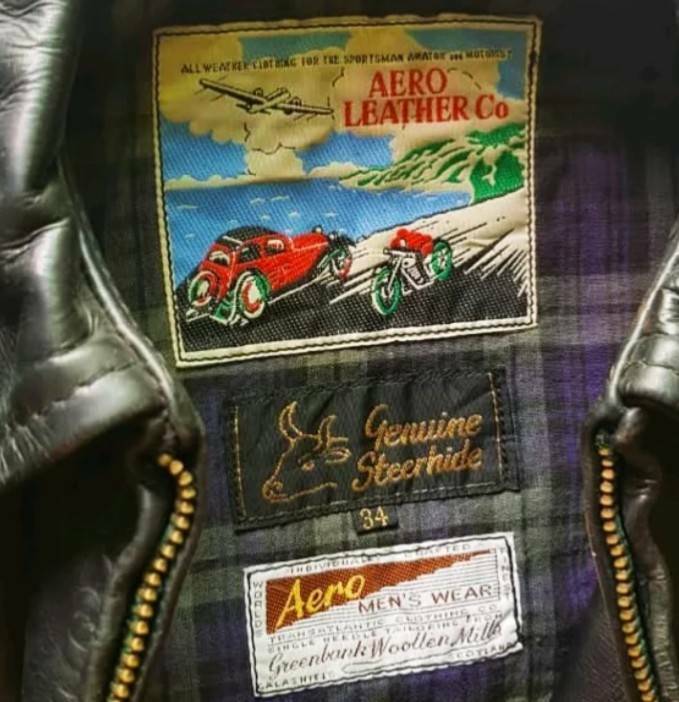 Also in the 80s/90s, while some Japanese would buy "Made inKorea" but nobody wanted "Made in China"
The Half Belt was massive in Japan in the early 90s Aero were shipping best part of a thousand a month in "high season"
Akang ed and Geeboo like this. 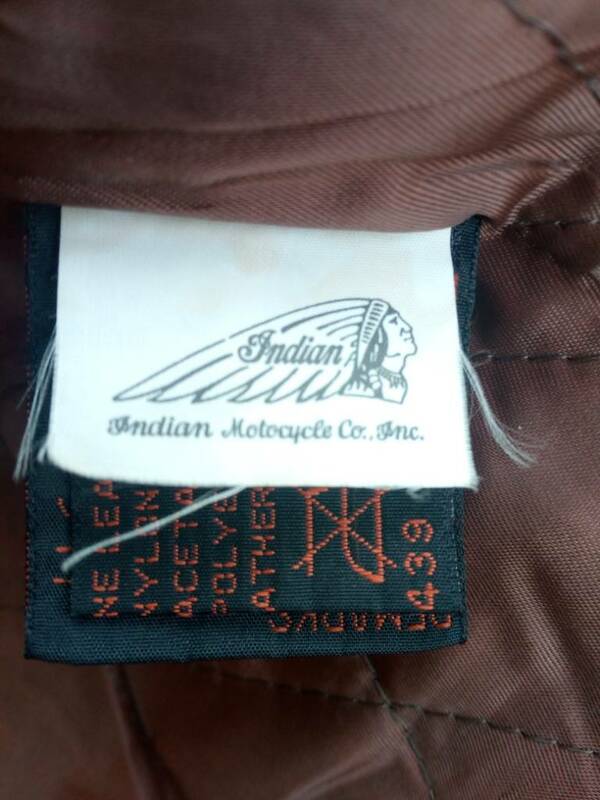 Indian motorcycle company has been resurrected more times than Elvis in fast food joints. It's likely a company-approved store model from the 90's I'd wager, but I'm just guessing.